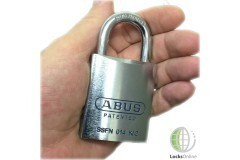 These padlocks are fitted with seriously high security cylinders from our patented LocksOnline EPS cylinder range, to complement the tough build of the Abus Padlock range. 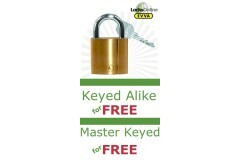 For high-end security padlocks, we bring you what I like to call 'The Beast'. This is the closed-sha.. 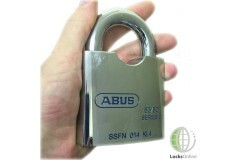 This is the top-end open-shackle Abus padlock, constructed with a tough hardened steel alloy body an.. 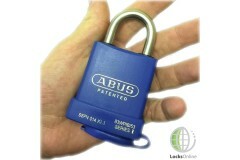 This is Abus' marine weather-proof padlock, which does exactly what it says on the tin! With a stai..
With a hardened special steel alloy shackle and ball-bearing locking mechanism, coupled with the des.. 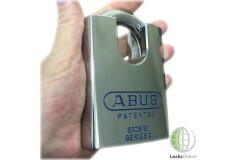 These special aluminium alloy lightweight padlocks from Abus are a unique concept in that they provi.. 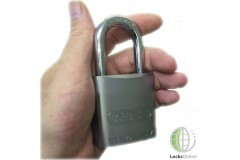 This padlock has a solid brass body with a tough hardened steel shackle. It is supplied with a pate.. 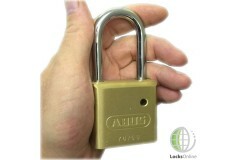 The Locksonline EPS padlocks are incredibly versatile and high security, and with it's patented ..